The ﻿following is a brief summary of how I do things here. Included are some guidelines and our policy. If you have any questions at all, please don't hesitate to ask me. 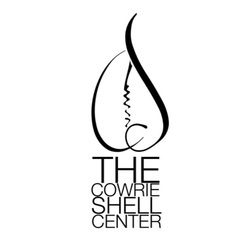 Here at The Cowrie Shell Natural Hair Care and Holistic Wellness Center, I offer truly holistic services for your hair and your well-being in two floors of a clean, eclectic, aromatherapy charged environment in the Ocean Hill/Bedford Stuyvesant, Brooklyn New York. Your appointments are very important to me, it is reserved especially for you, I understand that sometimes schedules adjustments are necessary; therefore, I respectfully request at least 24 hours notice for cancellations. STRICT AND ENFORCED 24 HOUR CANCELLATION POLICY! Please understand that when you forget or cancel your appointment without giving enough notice, I miss the opportunity to fill that appointment time, and clients who could have used that space miss the opportunity to receive services. My appointments are confirmed once each appoint is schedule (unless otherwise informed) because I know how easy it is to forget. Since the services are reserved for you personally, a cancellation fee will apply. - Less than 24 hour notice will result in a charge equal to 50% of the reserved service amount. - “NO SHOWS” "NO CALLS" will be charged 100% of the reserved service amount. - Appointments made within the 24 hour period and need to cancel, the client then must cancel within 4 hours of appointment time or will result in a charge equal to 50% of the reserved service amount. The cancellation policy allows me the time to inform other clients/customers of any availability, as well as keeping my schedule filled, thus better serving everyone. The Cowrie Shell Center policies are presented and provided in the best quality and tradition of excellent servicing for my established and future clientele. Please be advised that at times it is necessary to double book appointments. During your appointment, you may ask me questions about any hair or health challenge you may be experiencing. Depending on the treatment needed, an additional $75 consultation fee will be required for my professional holistic healing advice and recommended protocol. I recommend that appointments for hair coloring MUST be made clear at the time of scheduling your appointment so that I may be able to accommodate your specific need for extra time. A 20% gratuity has already been added to your bill. However, additional gratuity is most appreciated. I do have a 'shoes off' policy upon entering into The Cowrie Shell Natural Hair care and Holistic Wellness Center. When you arrive for your appointment and another client is in the chair, please be mindful that a semi-private consultation or conversation may already be in progress. Please arrive on time for your appointments. All other major forms of payment are accepted at The Cowrie Shell Natural Hair Care and Holistic Wellness Center. Thank you for viewing and supporting this policies criteria.